Barrier Island Eco Tours presents the Capers ECOrun on Sunday April 23 from 10am - 1. A 10k & 5k beach run~walk fundraiser with a portion of proceeds benefiting the local hungry through Charleston Chef's Feed the Need. Join in this amazing natural experience on one of the areas most pristine & beautiful barrier islands and hopefully see dolphins on the ferry while sharing a brief Eco Tour. 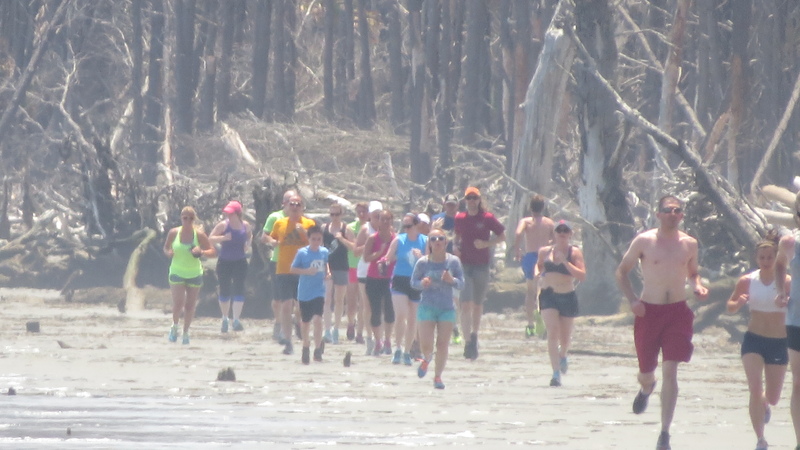 The course weaves through sun bleached eroded trees of BoneYard beach & tidal pools. There's no packet to pickup, just show up at the Isle of Palms Marina for the ferry to Capers Island no later than 9:45am to park & check-in for the ferry departing @ 10am then returning around 1pm. The Marina parking fee is $3 so I encourage you to carpool, ride a bike, not only to save some ca$h but more importantly to reduce the carbon footprint of the event. In an extra effort, I will sincerely appreciate it if you bring $3 (or more) in can/dry goods instead of $3 in ca$h for parking to increase the nourishing impact of the of Capers ECOruns!